Susan founded RainMaking Oasis in 2000, the successor firm to Saltonstall & Associates which she founded in 1987. She began working with law firms in 1980, and has provided management consulting services to more than 120 law firms, other professional service entities, associations and thousands of individual professionals. 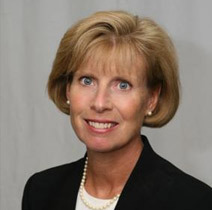 Prior to forming her first consulting business in 1987, Susan worked in two national law firms where she assisted in organizing efforts in client and practice development, communications and public relations, governance and planning, attorney recruitment, performance evaluation and training and paralegal management. From 2011 to 2012, Susan went back in-house and served as Global Chief Strategy and Development Officer of a 1,250 lawyer firm with 37 offices in 17 countries. Susan was inducted as a Fellow in the College of Law Practice Management (COLPM) and into the Legal Marketing Association’s Hall of Fame. Her articles have been published in numerous national publications and for eight years she was the author of “Rainmaking” and “Fresh Out”, two quarterly columns for the ABA’s Law Practice magazine. Over the past 37 years, she has presented to numerous national and state organizations including the Association of Legal Administrators (ALA), the Legal Sales and Service Organization (LSSO), the Legal Marketing Association (LMA), the National Association for Law Placement (NALP), the American Bar Association (ABA), the College of Law Practice Management, state bar associations, the Society for CPAs, the American Marketing Association (AMA), the Practicing Law Institute (PLI) and the Institute for CLE. Susan received her bachelor’s degree, Phi Beta Kappa, from Trinity College in Connecticut and completed graduate courses at Harvard University and New York University.